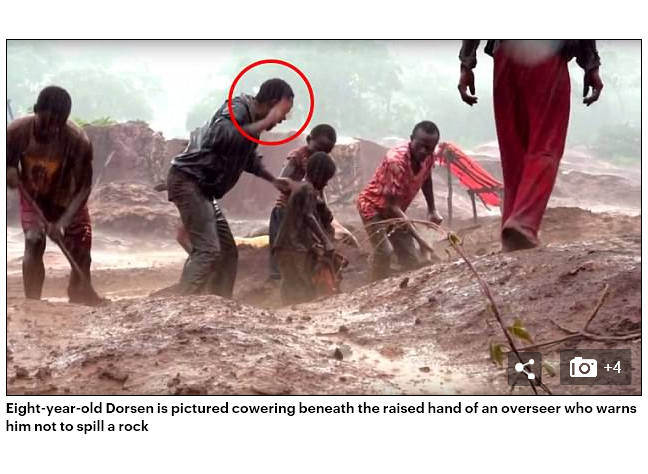 Early this morning London time, England's Daily Mail news outlet updated a story they previously published in August, titled "Child miners aged four living a hell on Earth so YOU can drive an electric car." 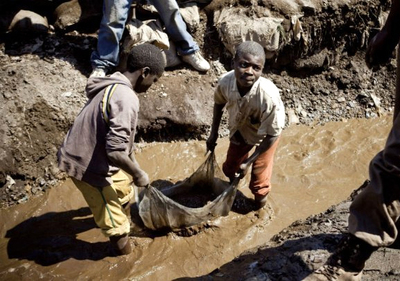 The story details the unspeakably atrocious conditions of "mining" for cobalt in Africa. If you think the images and videos of diamond mining in Africa are bad, you ain't seen nutin' yet. The Daily Mail story centers on two young boys (8 and 11 years old) who are reportedly part of about 40,000 children used to find cobalt that's used in the production of lithium-ion batteries. The story is a devastating indictment of the burgeoning growth of the electric vehicle market. While the future potential of electric cars looks very rosy and green, and almost no one can dispute the exhilarating performance of electric vehicles, The Auto Channel has long been an adversary of electric cars because we believe that they are being used as a diversion to take our collective minds off the need to wind down the use of petroleum oil fuels. Our position has been that the promise of a soon-to-come transition to environmentally clean electric vehicles is a farce; that internal combustion engines will continue to be the primary source of locomotion in our vehicles for many decades, perhaps as long as a century. Bob Gordon and I believe that by using electric as a carrot on a stick, the petroleum oil industry is leading the public and our politicians astray from real alternative solutions to gasoline and petroleum diesel fuel that are available right now, and can be used immediately in a vast majority of ICE vehicles currently on the road. Frankly, in all our writing and speaking on the issue of electric vehicles, we've mostly been concerned about the diversionary aspects of electric vehicles. We had not seriously considered the human cost as revealed in the Daily Mail story, and other similar stories. If the Daily Mail's story accurately reflects this dark side of lithium-ion battery production, and if this same horrendous situation exists in the hunt for other materials required for battery production, then it is unconscionable for the electric vehicle industry to proceed any further....until the production of electric batteries are as green and environmentally friendly as the vehicles themselves are promised to be. This cannot be allowed to continue. SEE ALSO: Electric Vehicles - Solution or Diversion?